Connecting Country launched their Woodland Birds Program in 2010. It included a mix of on-ground habitat rehabilitation, bird surveys and community bird-related events. Specific details about our woodland bird monitoring activities are provided below. ‘reference’ sites located in typical forest/woodland vegetation of good quality in the region. ‘restoration’ sites that are located in areas where management actions are planned or being undertaken. ‘modified’ sites, such as open farmland or where there are only a few scattered trees. 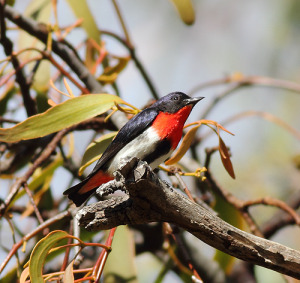 Bird surveys are conducted using a standard technique (2 hectare, 20 minute survey) used by other studies in the Box-Ironbark region and by Birdlife Australia. Click here to download Connecting Country’s Woodland Bird Monitoring Strategy. 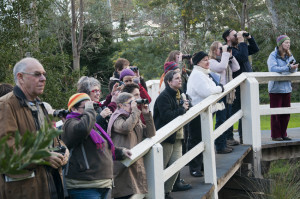 The past 12 months or so has seen closer ties established between BirdLife Australia and Connecting Country. Connecting Country is now an affiliate group of BirdLife, meaning we have signed a partnership agreement that sets out the way we share data, and promote each other’s activities. One of their staff affectionately described us as BirdLife’s first ‘non-birding’ affiliate group!’ This is in reference to the fact that we are a community organisation with other focuses besides birds, such as our extensive on-ground works program, education program and focus on other taxa such as Brush-tailed Phascogales and Yellow Box. For a ‘non-birding organisation’ we certainly can collect a lot of valuable data! In May, Connecting Country supplied four years of our monitoring data comprising no less than 12,923 individual bird records to Andrew Silcocks, BirdLife’s Atlas and Birdata project manager, collected from more than 800 separate surveys. A remarkable achievement! This data was collected from our 50 standard survey sites – some of which are located in paddocks, some in restoration sites and some within ‘intact’ woodland; and on both public and private land. At this point, Connecting Country database volunteer Cara Byrt must be acknowledged for her incredible efforts and expertise in developing our bird database and streamlining both the collection of data and how we supply it to BirdLife – at literally the click of a button! Many thanks Cara! 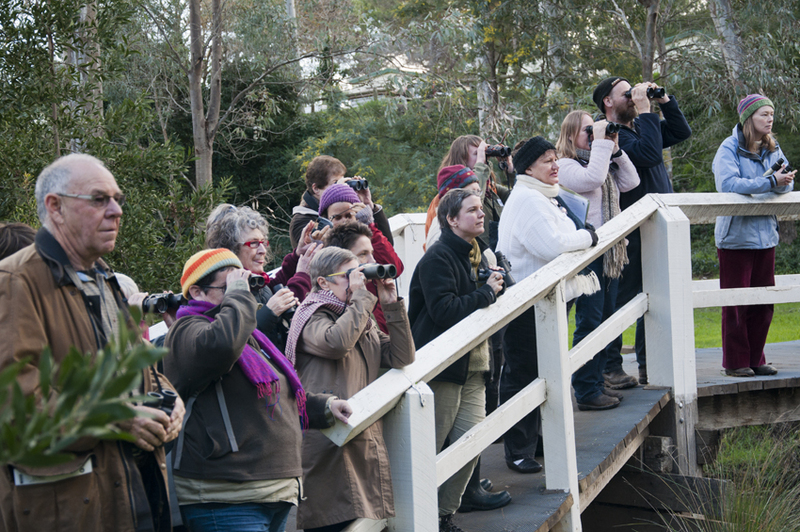 Connecting Country have developed a community-based monitoring project where members of the public, as volunteers, can get out and about the shire and start looking for a number of important bird species. Whether this be in your backyard, in the bush or in the paddock, what you see and where will be used to develop distribution maps of key woodland species and help to identify important areas of habitat. The Bird Monitoring page on this website has more information on this program – including a checklist of the birds of the Mount Alexander region.